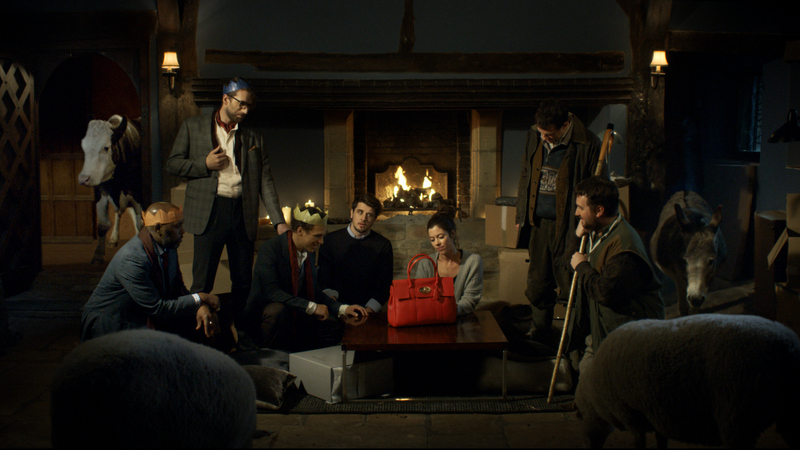 British lifestyle brand Mulberry is running “Miracle of Mulberry”, a Christmas advertising campaign providing a playful take on the Nativity Story. The two minute online film brings together a very British ensemble of characters who come from far and wide to witness the ‘Miracle of Mulberry’. 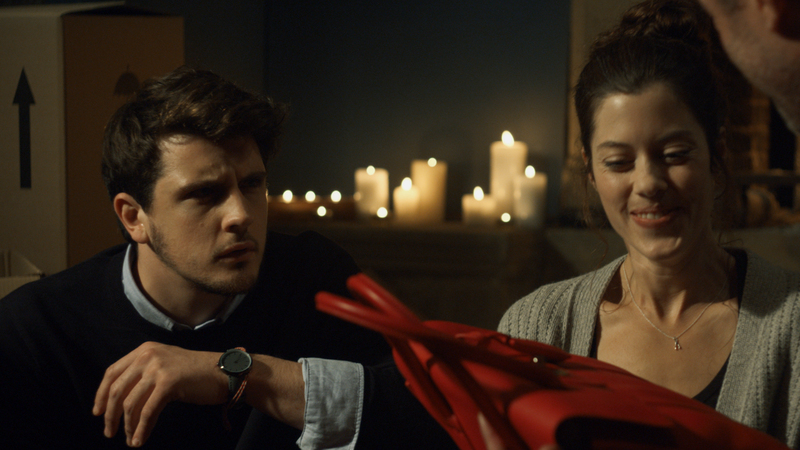 The film opens innocuously enough, with a woman delightedly unwrapping an iconic Bayswater bag from her husband, Joe, only to take an unexpected turn as a series of strangers arrive uninvited to her house to marvel at her new gift. As the scene unfolds, it becomes increasingly familiar until viewers realise that it’s a modern British re-imagining of the Nativity Story, with shepherds and kings. The film ends with the thoroughly bemused boyfriend observing amidst all the fuss: ‘It’s just a bag’, before fading to the line: #MulberryMiracle. The campaign includes an online film, social activation and a website competition online at mulberry.com/mulberry-miracle. The Miracle of Mulberry campaign was developed at Adam&EveDDB, London, by executive creative director Richard Brim, copywriter Aidan McClure, art director Laurent Simon, agency producer Panos Louca, head of planning Dom Boyd, head of account management Paul Billingsley, account director Olivia Chittenden working with Mulberry brand director Anne-Marie Verdin, head of marketing and press Shona Campbell, head of group brand creative Jack Foreman, senior brand image manager Jackie Holland, marketing and media manager Stephanie Latendresse. Filming was shot by director James Rouse via Outsider with producer Benji Howell and director of photography Alex Melman. Editor was Bill Smedley at Work Post. Post production was done at Finish by Flame artist Ross Macpherson, colourist Paul Harrison, producer Charles Gillett and executive producer Fi Kilroe. Audio post-production was done at Factory by sound designers Anthony Moore and Neil Johnson. Music, “Spiritus Sanctus”, was produced at Focus Music by composers/arrangers Mark Cousins and Adam Saunders.